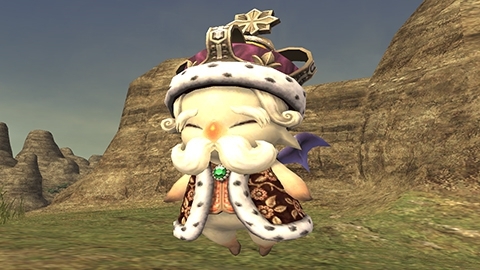 In the Adventurer Gratitude Campaign, we're showing our deepest gratitude to everyone enjoying the world of Vana'diel by giving away up to four special items to players just for logging in. These rewards include items to support recent returnees and vouchers that people who have been playing for a while will surely appreciate. Players will be able to receive all the goodies just by logging in for four of the seven weeks the campaign is running, so even the most casual of players has ample time to reap the rewards! Sunday, May 20, at 8:00 a.m. (PDT) to Sunday, July 8, at 7:59 a.m. The echad ring is a special item that confers an experience point gain bonus on the player equipping it. It has unlimited uses, making it perfect for levelling up your first job—or your thirteenth! Those already in possession of an echad ring will receive a red mog pell instead. Read on for a list of items obtainable in exchange for red mog pells. 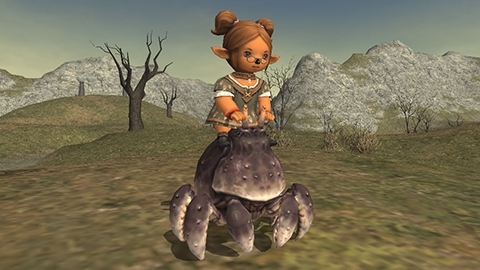 The ♪Red Crab is an item that lets you mount a red crab and ride it around Vana'diel. Be pretty in pink and show of your crustacean companion to all your friends! Those already in possession of a ♪Red Crab will receive 12 copper A.M.A.N. vouchers instead. Read on for a list of items obtainable in exchange for copper A.M.A.N. vouchers. Cipher: Kupofried enables the bearer to summon an alter ego of the enigmatic Kupofried. He will not participate in battle, but rather confer an experience point gain bonus on the player who calls him forth. This makes him an ideal companion for all your levelling activities. Read on for information about the Trust Initiative. Those already in possession of a Cipher: Kupofried will receive a silver mog pell instead. Read on for a list of items obtainable in exchange for silver mog pells. 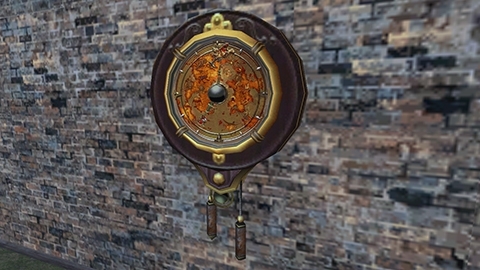 The Vana'clock is a furnishing that you can use to decorate your Mog House. Just by placing it on a wall, you will receive an experience point gain bonus thanks to its Moghancement: Bounty effect. At certain times throughout the day, a chocobo will peep out the time, making it as stylish as it is functional. Those already in possession of a Vana'clock will receive a red mog pell instead.